So, it’s been a bizarre evening so far. A couple of weeks ago I wrote about a short article in the magazine “What Doctors Don’t Tell You” (WDDTY). I was concerned that they hadn’t accurately represented a piece of research about possible links between antidepressant use in pregnancy and autism in children. It got a few comments, which was nice. For some reason my comments system is a bit screwy, one of the comments didn’t actually show up on the blog, but I got an automatic email telling me about it so I copy – pasted it in and that was that (see! this is the level of Google destroying technical genius you have here dear reader). Then, earlier today, WDDTY posted a screenshot of that comment on their Facebook group. You can see it here: You can also see the claim that the link it included was intended to manipulate Google and mess up web traffic to WDDTY. Firstly , that’s not how the internet works. The link in the comment will take people to WDDTY in a way that won’t INCREASE their Google rankings. Now if I were some uber powerful web presence and the majority of WDDTY’s readers were accessing their site through me, say for example, if I were MORE POWERFUL THAN GOOGLE then that might be an issue, but sadly, I’m not. If I could get that kind of traffic to my blog I would have advertising the length and breadth of it and I wouldn’t have spent 40 minutes this evening on a commuter train with my head in someone’s armpit*. But I don’t. I get a few thousand hits a month. Most of those are repeat visitors so in terms of unique visitors I’m looking at maybe the low hundreds. I am small, small fry. It wasn’t even me who put the link there, it was a comment made by someone else. Ordinarily I always include links to anything I write about. I want readers to go to the source and make up their own minds. So I thought long and hard about it with this post. In the end my personal feelings were that the depression/autism story badly misrepresented the science, and that in so doing it posed a real risk of distressing already vulnerable women. I assumed that WDDTY have advertising on their website and that the more people visit the site, the more money they will make from those adverts (I don’t know if that’s true, I was guessing). I knew that the number of people reading my blog wouldn’t make much difference to that but I decided, as a matter of principle, not to link to it. I told readers they could find the magazine in shops and I assumed they could Google it if they wanted to. The link that WDDTY is now complaining about was in a comment made by Guy Chapman, I was glad to have it so my readers could see what I was talking about without helping WDDTY out in the process. I don’t think I had even heard of Guy Chapman before he commented. All that, unfortunately doesn’t matter to the supporters of WDDTY. One of them is now calling for my blog to be blacklisted by organisations that rate the trustworthiness of websites. Apparently, because I allow comments on my blog I should be shut down. Interestingly, none of these supporters have commented on the blog post I wrote. Neither has anyone from WDDTY, although they have clearly visited the site. The comments box is right there if I have the science wrong. I’m really not a big deal, I have absolutely no influence over Google. I’m a mum who works part time in a lab for a charity. 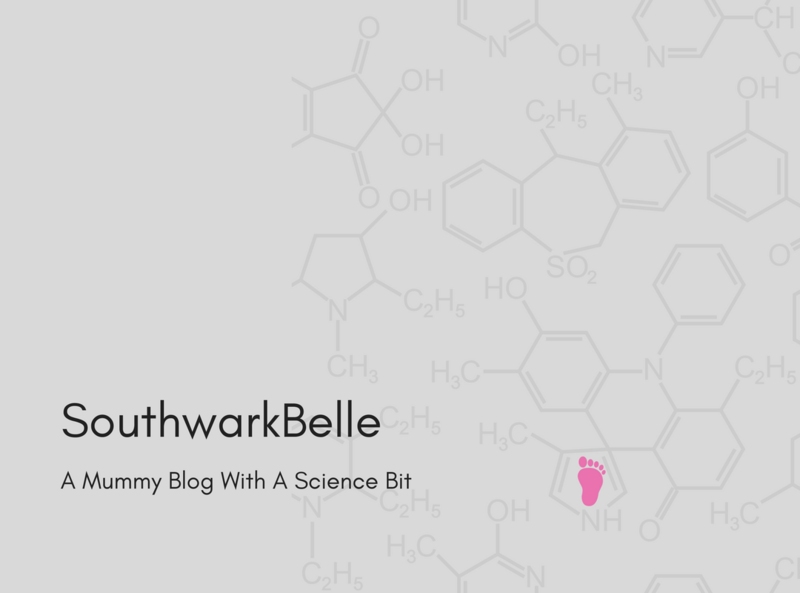 When I get time I write blog posts about my kids, about good causes and about the way the media misrepresents scientific stories concerning mothers and pregnant women. I have no idea if Guy Chapman and Josephine Jones are the same person, I’ve never met him/her/them and I’m not on a personal mission to shut down WDDTY. I’ve written this blog for 5 years and I’ve criticised various organisations, the Telegraph, the NCT etc. none of the others ever tried to set their supporters on me, or have me shut down. Anyway, I have to go clear up the kitchen now, then sort out the kids clothes for tomorrow and hope I can get a bit of sleep before my baby wakes up screaming at 5am, such is the life of the internet’s evil overlord…. *This is artistic licence. I am freakishly tall, he had his head in my armpit (which is at least a little less horrible). They really don't seem to have a clue, do they? Look on the bright side – because of WDDTY's ineptitude, many more of us now know your blog exists and a very nice blog it is too. Actually, McTaggart has a *lot* of clue – about SEO and marketing. She certainly does her best to get every lying post and article well ranked in the searches. They've put the kibosh of linking via dontnotlink.com now; so I reckon the solution is: screengrabs and not linking at all to her vicious nonsense. Heh. Blimey eh 😉 That was one of the stranger episodes on their Facebook page. A highly-rated website shows up as green and I think the strength of the hue might relate to how well rated it is, I'm pretty sure I've seen a range of greens. Red indicates that it's bad and orange means a bit iffy. read the score and comments that people have written about a site. As far as I'm aware this WOT rating has no effect at all on Google rankings either. In any case it is only visible if you've downloaded the Chrome app / plugin thing (I think you can get it for other browsers but I only use it when I'm on Chrome). WDDTY has a yellowy-orange circle on Google search results. On inspecting its 'WOT card' https://www.mywot.com/en/scorecard/wddty.com it actually scores green in child safety but an orange in trustworthiness. At the time of writing there are 17 comments and the ones I looked at were negative. It will be interesting to see if a flood of positive comments appear from WDDTY supporters appear. Well, in WDDTY's mind, I guess allowing comments on your blog is the work of Satan. Just try commenting on their FB page if you disagree with them and see how long it takes before you get banned. For some reason some posts aren't appearing still and are just turning up in my email – I've copy-pasted them below because I'm a social media genius and I can do that. thanks for posting (sorry it didn't show up before, no idea what's going on!) Good to know that nothing much is coming of that threat, thanks for checking it out.